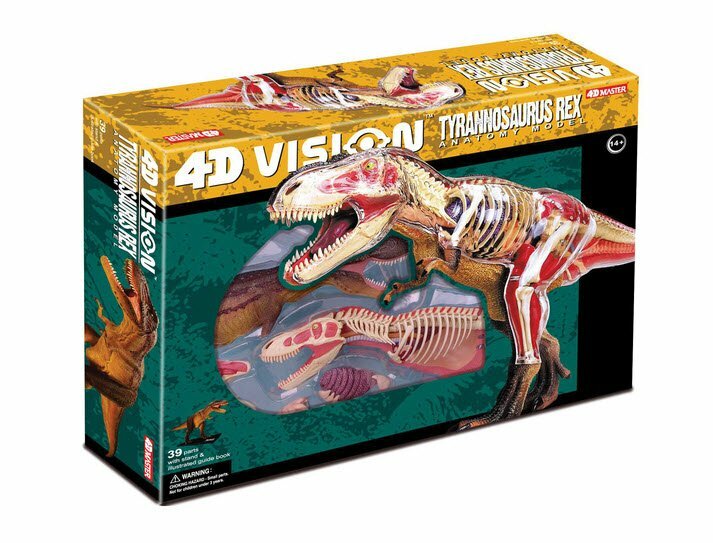 Build your own anatomy model of the T-Rex! This exceptionally detailed, 11" model contains 36 detachable, hand-painted organs and parts and a display stand. Also includes illustrated assembly guide, description of the anatomy, a detailed description of a T-Rex’s life cycle, eating habits and size along with some fun Q&A to test your knowledge! A nice addition to curriculum for teaching paleontology or any child's science fair project related to paleontology. Collect the series and have your own dinosaur museum! Busy hands build strong minds! These accurate 4D dinosaur models offer a unique puzzle challenge that inspires critical thought and mental acuity. Plus, they help build dexterity, fine motor skills and problem solving skills and reinforce learning through hands-on exploration!